Choosing the best bike for your child is easy! It’s time to buy your child’s first bike and the question keeps coming to mind… “what bike will be best for my child?”. To answer that question, the first thing you are going to want to consider are your different options. 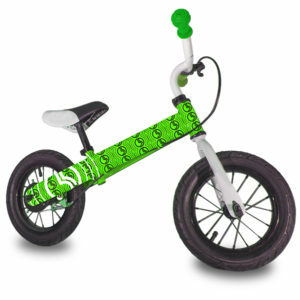 There are ton’s of bikes available on the market right now, but there is only one that will be perfect for your child. You could choose to go the training wheels route, but let’s be honest… the only thing training wheels do is teach kids how NOT to ride. They are hard to ride, control and they tip over easily. Training wheels also get stuck on gravel, are heavy and don’t teach kids how to balance. So now training wheels are out of the question, what else could you pick? You could choose to start your child with a tricycle, but those present the same challenges and negative effects as training wheels. Luckily, there is a better alternative to both of these. Introducing the Balance Bike! 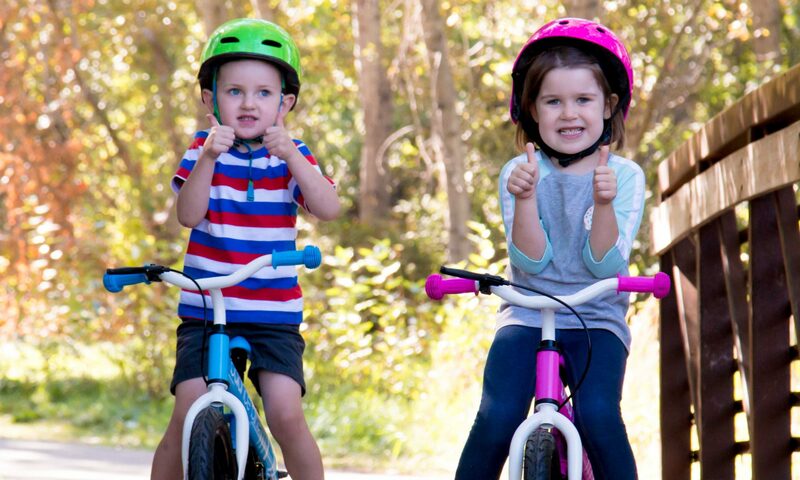 Simply put, Balance Bikes are the best way for kids to learn how to ride a bike. Imagine a regular bike, shrink it and take away the pedals. That’s a Balance Bike for you! It’s just a small bike without pedals that allow children to learn the key components of riding a bike without having to worry about pedaling. There are so many benefits to riding a Balance Bike, the major one being… kid’s learn how to balance! As any bike rider knows, this is a crucial skill for any bike ride to be successful. In addition to learning the skill of balance, kids will also experience a stress free ride. They don’t have to worry about turning corners or falling on loose gravel. This is because a Balance Bike is built to ride just like a regular bicycle. They can be ridden for miles making the fun endless. When can my child start riding a Balance Bike? Balance Bikes are made for children ages 3+. It doesn’t take long until your little one will be riding like a champion. Balance Bikes are are a perfect match for kids going through the physical and cognitive development of these ages. 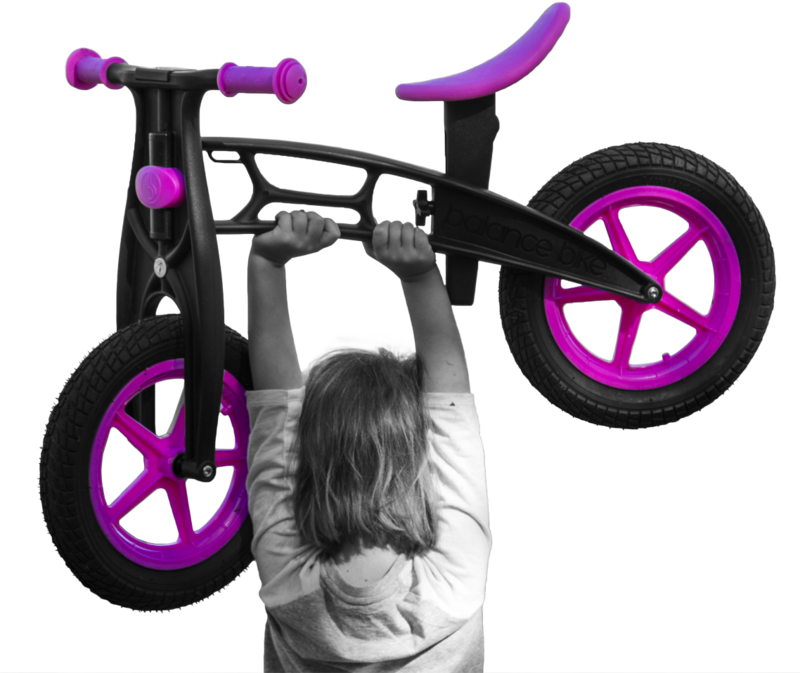 To learn more about why this is the best age for a Balance Bike, click here. To purchase a Balance Bike, check out our Balance Bike Shop, and don’t forget to stay updated on social media!